From commercial architecture to interior design, we pride ourselves on forming distinct combinations of volume, light, and texture that function and flow with ease. Our solid reputation has been built from the ground up through years of passionately advocating for our clients, overcoming constraints, and creating great spaces that our clients love. At David Whitney Architects, we believe that every space is personal. And so is every project. Which is why we are committed to providing our clients with the individual attention and responsiveness they deserve to bring unique visions to life. Our team of architects and creative designers is large enough to handle the most complex challenges, yet small enough to pivot at will and make decisions quickly. Which results in the design of personal spaces that speak volumes to the exceptionally high standards of both our firm and the clients who choose us. 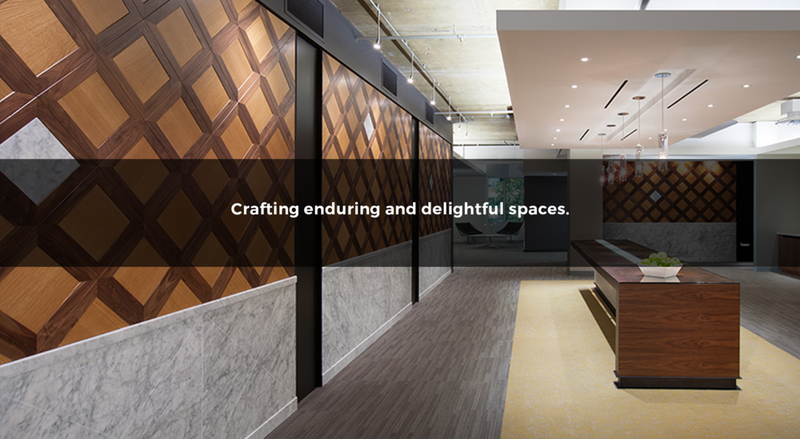 We design smartly integrated spaces that bring out the best in our clients. David Whitney Architects was founded on the principles of interdisciplinary collaboration and a passion for crafting enduring and delightful spaces. Under the leadership of David Whitney, our senior creative members bring years of experience from leading architectural firms in the disciplines of architecture, interior design, and graphic design. The result is an agile team that balances exceptional design skills with a strong technical aptitude. Our diverse client list ranges from start-ups to Fortune 100 companies across the United States. And we proudly attribute much of our success to the close relationships we have established with many of the top project partners and general contractors in the industry. As principal of David Whitney Architects, David provides active direction on every project from inception to final execution. A strong client advocate, David has developed an intensive, service-oriented practice that focuses on providing a single point of contact for clients during every stage of their project. His comprehensive approach to design and service begins with the creative concept and integrates spacial qualities, the nature of materials, and building systems each step of the way. From small start-ups to Fortune 100 companies, our clients turn to us as trusted advisors for their most complex design needs. And each of them have come to expect nothing less than the most personal attention from our creative staff to deliver their objectives on time and on budget.